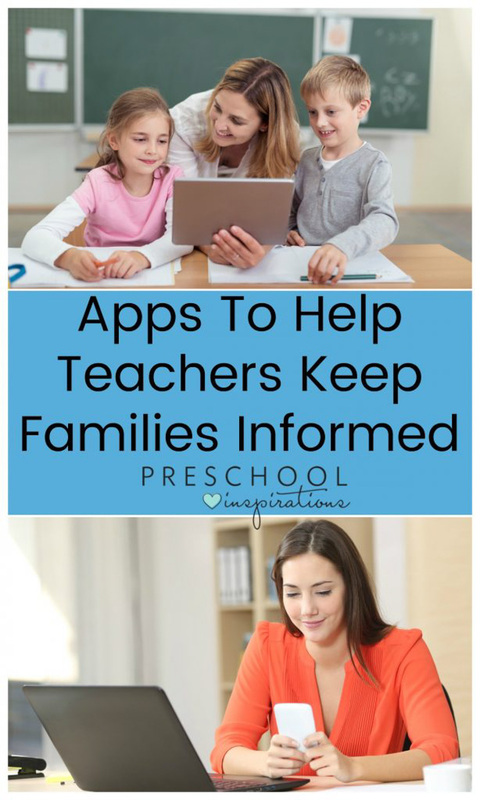 These parent teacher communication apps will make keeping parents informed so much easier! As a teacher, I’m always looking for ways to communicate with my students’ families and keep them up-to-date on all of the things going on in our classroom. 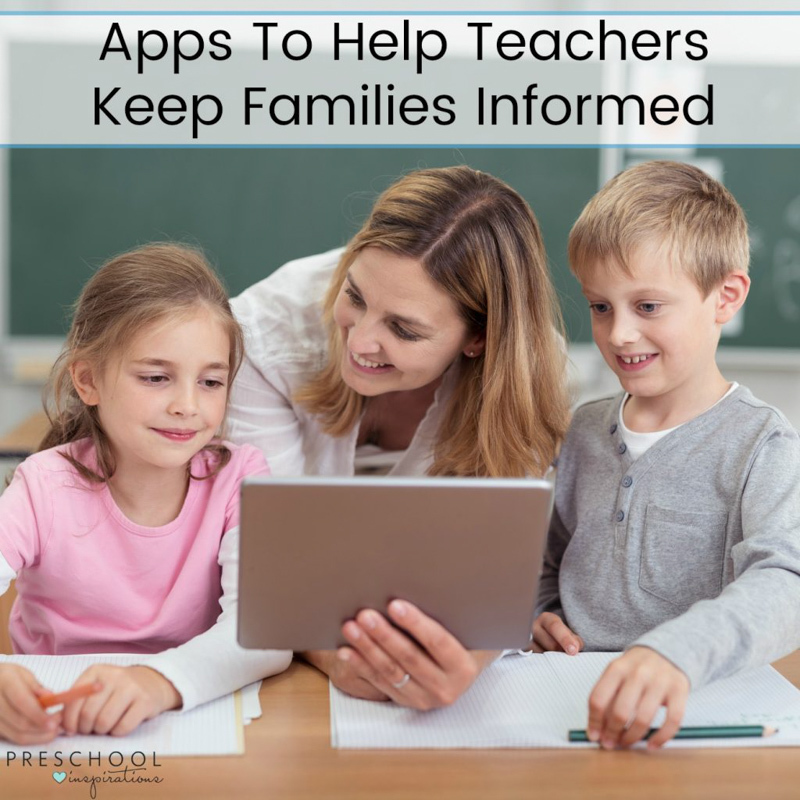 I’ve tried calling, emailing, texting, and writing notes home but have found sharing information instantly on my phone or tablet through apps is a more effective way to connect to parents. We all know that papers get lost on the way home, or it’s easy to forget details about upcoming events. If you work at a school or send your child to a school that isn’t using an app, this could be life-changing. Well, not completely, but it will make life so much easier. SeeSaw– This app helps students, families, and teachers. Students can document and share their learning activities. Families can immediately know all about their child’s school day. And teachers can stay organized and easily communicate with parents with SeeSaw. Tadpoles– With this app, you can record information on daily reports, prepare lesson plans up to four weeks in advance, view medical and emergency information, and much more. Parents can download or share photos and videos of their children, mark their child absent or on vacation, and receive emergency alerts. Brightwheel– With Brightweheel, you can provide a summary of your day and call parents right from within the app. Send photos easily as well. You can also record student progress with text or voice and share assessments privately with other teachers. Storypark– With this app, you can share pictures, videos, and observations. You can also keep parents informed on how a child is developing and learning. Storypark’s reporting features make it easy to see each child’s progression, unique interests, and family involvement. You can create ePortfolio records that students can have from birth to school too. ClassDojo– With ClassDojo, you can share positive feedback or give students a digital high-five and encourage classroom and school values. You can also instantly share photos, videos and announcements on Class Story or privately message any parent. Students can share their work in their own digital portfolios too. Kaymbu– With this app, you can align your classroom observations with your curriculum and assessments to track student development. You can easily share that information with their families too. This app also includes special tools designed specifically for preschool and daycare programs including digital daily sheets, attendance tracking, and much more. Kangarootime – Kangarootime is an app that works perfectly for childcare centers and preschools. It provides iPads to schools and logs children in and out when they enter and leave the building, all in accordance with US state regulations. It provides a way for families to pay for school tuition so that schools don’t have to send invoices or worry about collecting payments each time. Kangarootime also helps administrative staff figure out staffing, ratios, and even keeps track of meals for the Food Program. Direct phone messages, daily reports, and photos are also part of the app. It can be difficult trying to talk to family members when they are dropping off or picking up their child at school. Both teachers and parents are so busy during the day to call and email each other too. These teacher parent communication apps will make communicating with parents easy. Want to connect more? 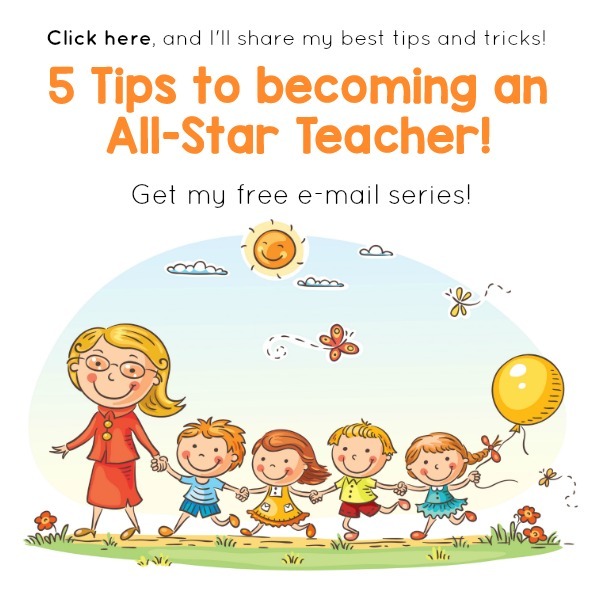 Join my free e-mail series for becoming an All-Star teacher! Karen is a teacher with over 13 years of experience teaching preschool through 2nd grade and a mom to two sweet little boys.She has a Master’s degree in Early Childhood Education and loves to share literacy activities on her blog, ABCs of Literacy, and play ideas, simple crafts, and much more on her blog, Raising Little Superheroes. Follow her on Pinterest and on Instagram .